If you need to travel to a country that requires a visa, or if you have any questions about visa requirements, contact a knowledgeable visa service like Rush My Travel Visa or G3 Global Services. All US citizens need to enter the Bahamas is a valid US passport! If arriving by air, you must have a passport book with at least two blank pages marked visas. If you are cruising on a “closed loop” cruise that begins and ends at a US port, you can use either a passport book or passport card, although passport books are recommended. No visas are required for US visitors to Canada. Check our guide for complete details on required travel documents for Canada. If you visited France in the late 1980s, you may remember having to get a visa, but this was a temporary measure that has long since been abandoned. US citizens visiting France for tourism, business, or as flight crew can stay for up to 90 days without a visa. Hong Kong is an unusual case; it is part of China, which does require a visa for US citizens, but Hong Kong itself does not. Hong Kong is a Special Administrative District of China with its own set of entry requirements. US citizens do not need visas for a stay of up to 90 days, only a US passport valid for at least one month past the end of the visit. Italy requires only that US citizens have a passport valid for at least three months past the end of the trip, with two blank pages marked “Visas.” Travelers can stay for up to 90 days without a visa. If you have a valid US passport with one blank page, that is all you will need to enter Jamaica. Travelers entering by sea may use a passport book or passport card. No visas are required for US visitors. Japan allows visa-free stays of up to 90 days to US citizens visiting for business or tourism. Travelers must have a valid passport and a confirmed return ticket. Mexico is the #1 international destination for US citizens. Visas are not required, but travelers who will stay for one week or more must purchase a tourist card for approximately $20. The Netherlands, like Italy, Spain and Switzerland, is part of the Schengen Agreement, which is a common visa policy held by a number of European nations. US citizens do not need visas to enter the Netherlands for stays of up to 90 days. A passport valid for at least 3 months beyond the stay in Europe is required. The Republic of Korea, also known as South Korea, allows US citizens to visit for up to 90 days without a visa. US citizens who are ethnically Korean, whether they were born in Korea or the United States, may also qualify for residence status. US citizens may visit Spain for up to 90 days in any six month period without a visa. 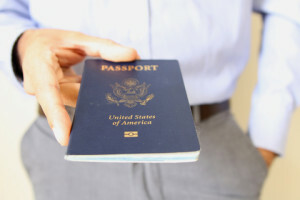 Passports must have two blank visa pages and be valid for at least three months past the planned return to the United States. Switzerland grants visa-free stays of up to 90 days to US citizens. Travelers must have a passport valid for at least three months past the end of the trip, a confirmed return ticket, and sufficient funds for their stay. If your US passport is valid for at least 90 days when you enter Taiwan, you will be granted a visa-free stay of 90 days. If your US passport will expire in less than 90 days, you will be allowed to stay in Taiwan for the duration of your passport validity. The United Kingdom – England, Scotland, Wales and Northern Ireland – allows US citizens to enter without a visa for tourist, business, or social visits of less than 90 days. However, visitors who plan to do charity or volunteer work, and those who plan to get married in Great Britain, must obtain visas in advance of travel.